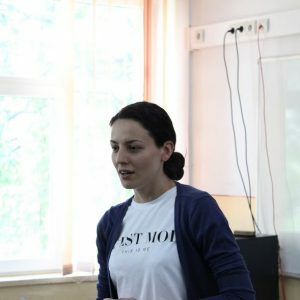 This entry was posted in News on June 19, 2017 . 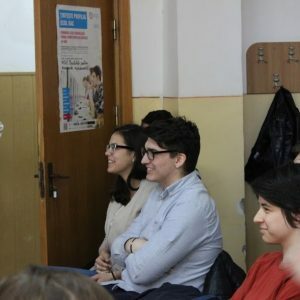 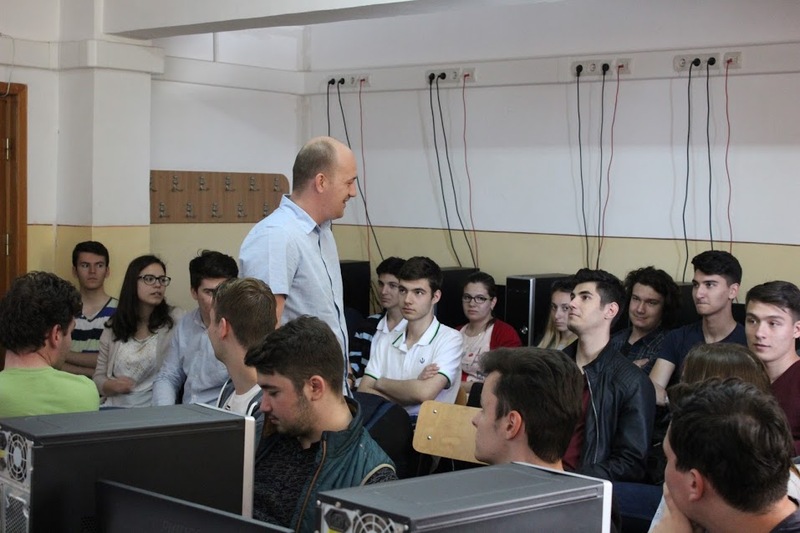 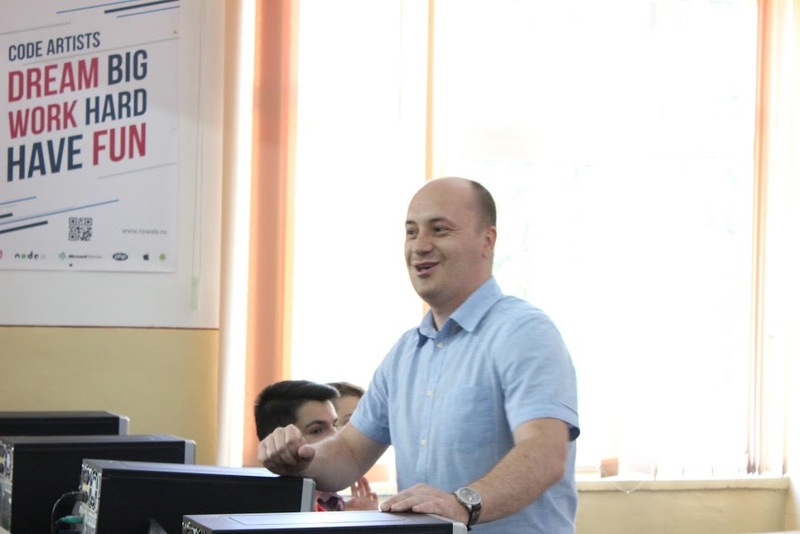 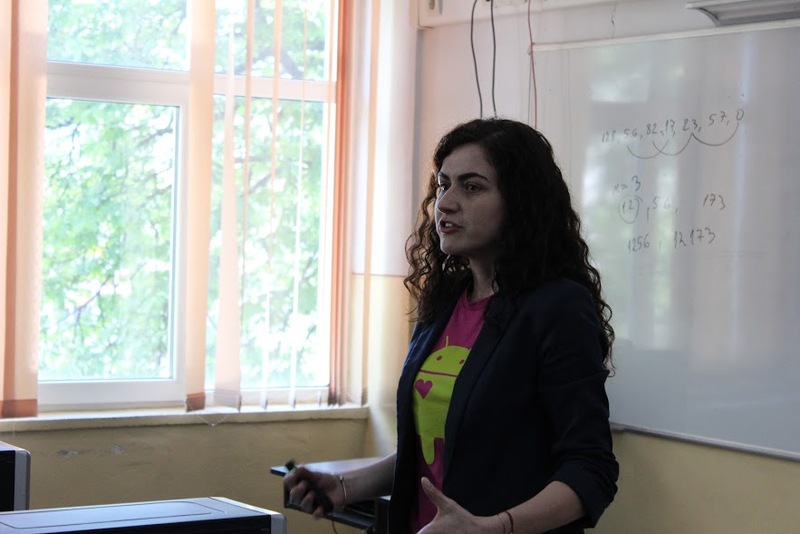 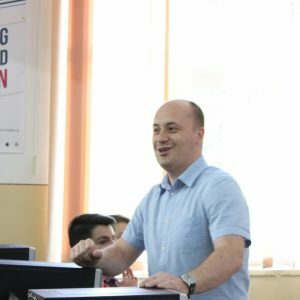 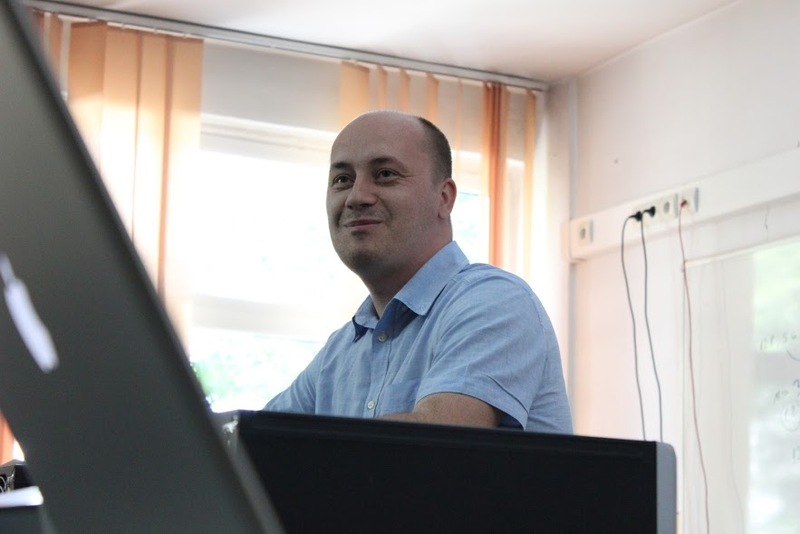 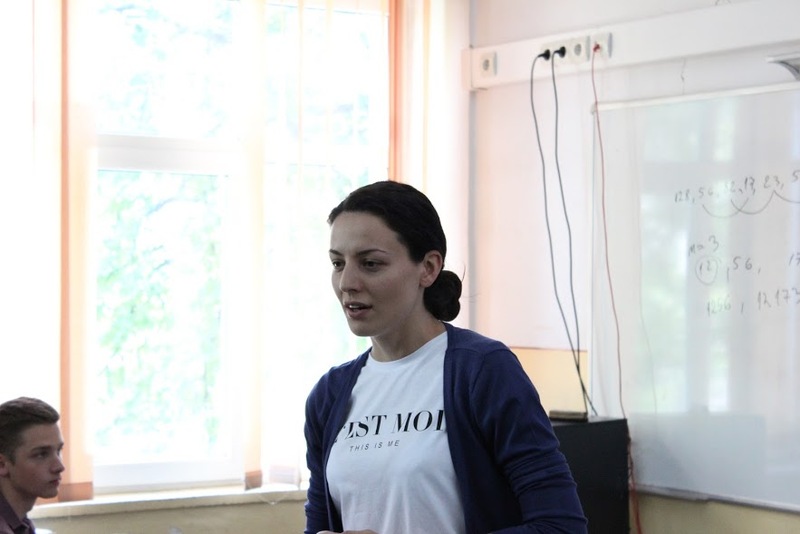 The Roweb Connect event at the “Ion C. Bratianu” National College in Pitesti was the first one of the series that was addressed to 11th and 12th grade students. 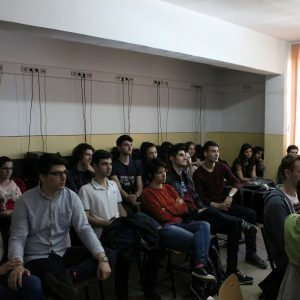 Most of the attendees were computer science high-school students and many of them had already decided to enroll at a computer science faculty after graduating school. 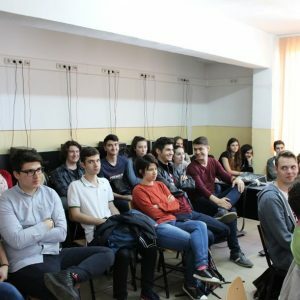 The students wanted to learn more about what it means to build a career at a software company, what are the advantages and the downsides of this kind of job and what internship opportunities they have. 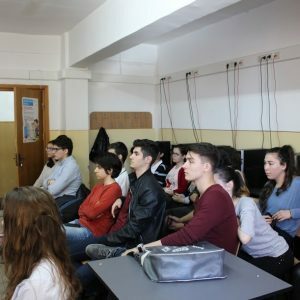 Our representatives, experts in mobile development, web development, design, UX and human resources, told them about how we do things at Roweb and about their own professional experiences and development. 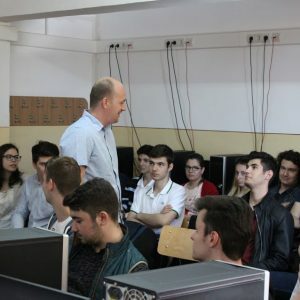 Gabi told them about the things he learned in high school and advised them to learn the basics of a programming language early on, so that they can move on to a new one and learn more technologies and languages. 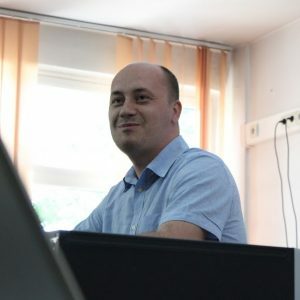 He gave them a few details about the types of projects and clients whom we work with, and information about the most sought after and best paid technologies. 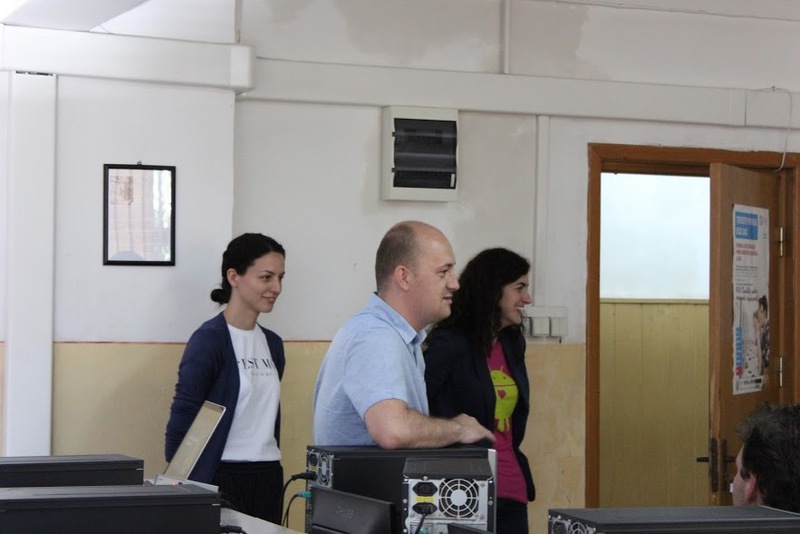 Magda also told them about how to start building a career in IT, about the fact that this industry is a major contributor to the Romanian GDP and continues to have great growth perspectives. 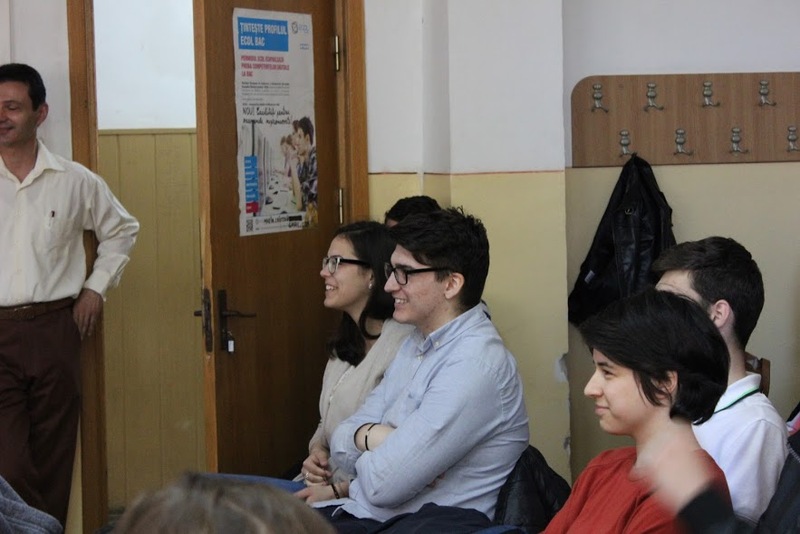 She also told them that it’s a constantly changing field, very engaging, in which you’re always learning and never have time to get bored. 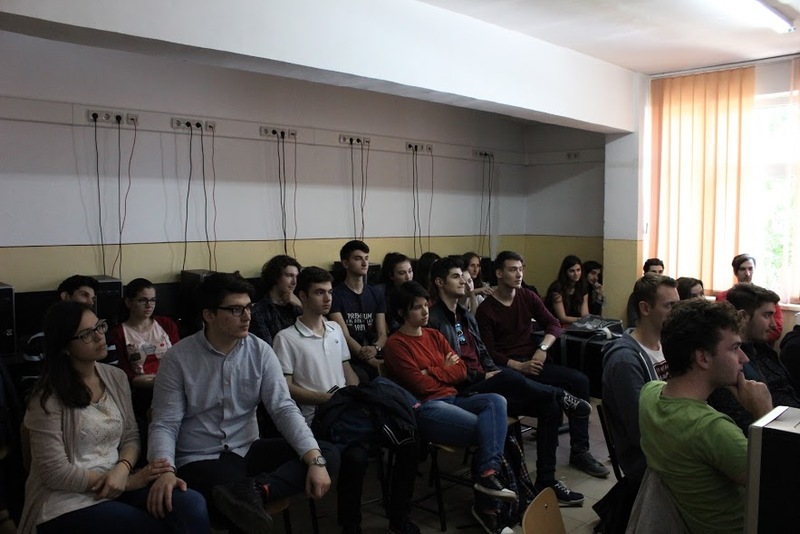 Some of the participants already had a level of technical knowledge, of procedural and object-oriented programming. 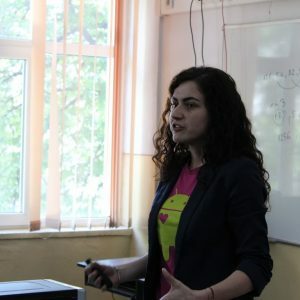 They had worked on a few personal, small, open-source projects. 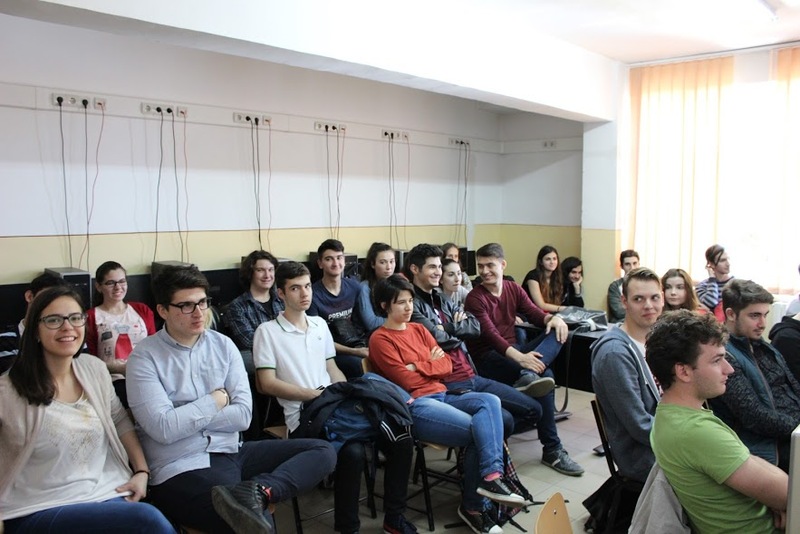 These students wanted to know if we also use open-source technologies at Roweb and we told them about our PHP and Node.js departments. 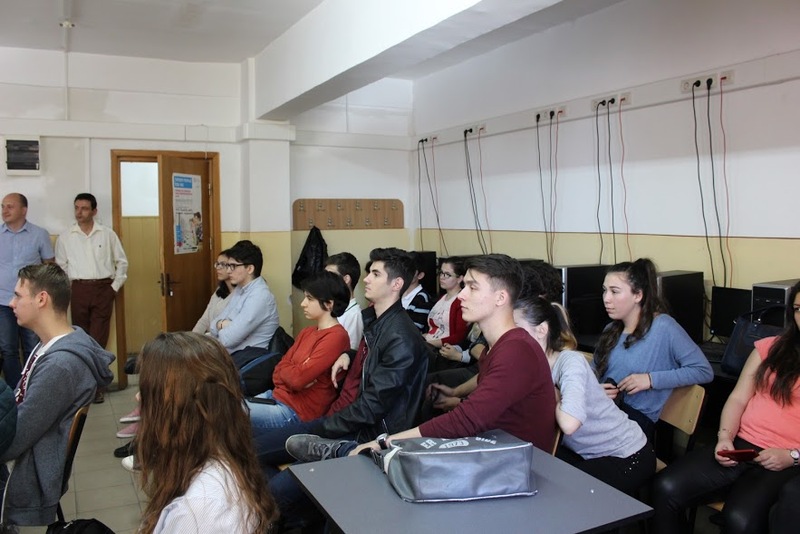 We were very happy to see so much enthusiasm from high-school students and we hope to have other events like this one in the future.